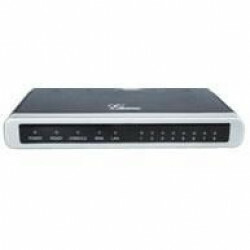 The Grandstream GXW4008 is an 8 FXS port VoIP Gateway with dual 10/100 ports and routing capabilities. The Grandstream GXP1630 is the newest member of the 16xx series gigabit IP phone from Grandstream - specifically designed for small businesses. This 3-line IP phone features 8 BLF keys, 4 way conferencing, and much, much more. 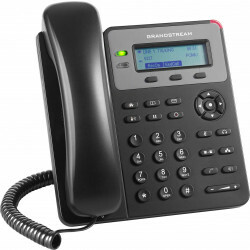 The Grandstream GAC2500 Android Enterprise Conference Phone is the latest VoIP conferencing solution from Grandstream. 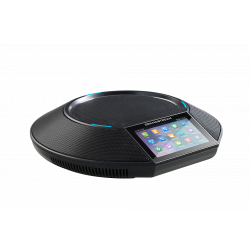 Featuring 6 lines with up to 6 SIP accounts, this conference unit utilizes the power of Android IP to allow for a broad range of communication possibilities. 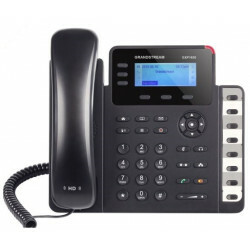 The GXP2170 is an Enterprise IP Phone for users needing to handle daily high call volumes. 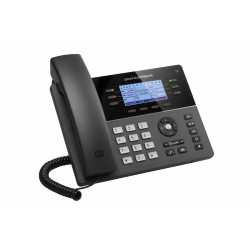 The GXP2170 features up to 12 line keys and six SIP accounts on a full color 4.3 inch display and has a full duplex-speakerphone with HD audio capabilities for quality and clarity over voice calls. The Grandstream GXP2135 is a multi-line high-performance phone that will meet and exceed all of your enterprise level IP Phone needs. With key features such as Power over the Ethernet (PoE), built-in Bluetooth, and dual Gigabit ports for fast and clear IP communications, why look anywhere else? The Grandstream DP750 Long-Range DECT VoIP Base Station can pair up to five DP720 DECT Cordless HD Handsets, offering mobility to users in both business and residential settings. This DECT base supports a range of up to 300 meters outdoors and 50 meters indoors. 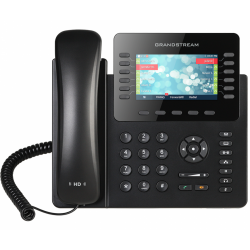 Grandstream's GXP1615 IP Phone is an entry-level business phone that supports 1 SIP account and 2 line keys with Power Over Ethernet (PoE). 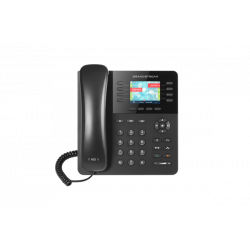 This user-friendly IP Phone is packed with many VoIP features at an affordable price. 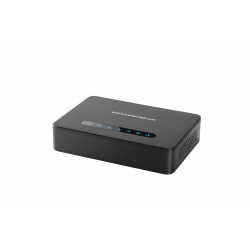 Grandstream's HT812 has 2-ports and includes a Gigabit NAT Router. This advanced analog telephone adapter replaces the HT502 and features Gigabit technology and leading echo cancellation. 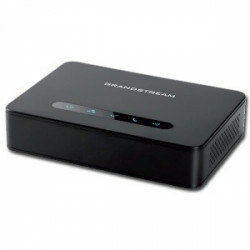 Grandstream HT814 Analog Telephone Adapter is an easy to use 4-port ATA with an integrated Gigabit NAT router. Anyone looking to convert their existing analog technology into a VoIP system would benefit from this powerful ATA. Grandstream's new GXP1760 is a mid-range IP phone with 6 lines and 3 SIP accounts designed to keep users efficient and productive.